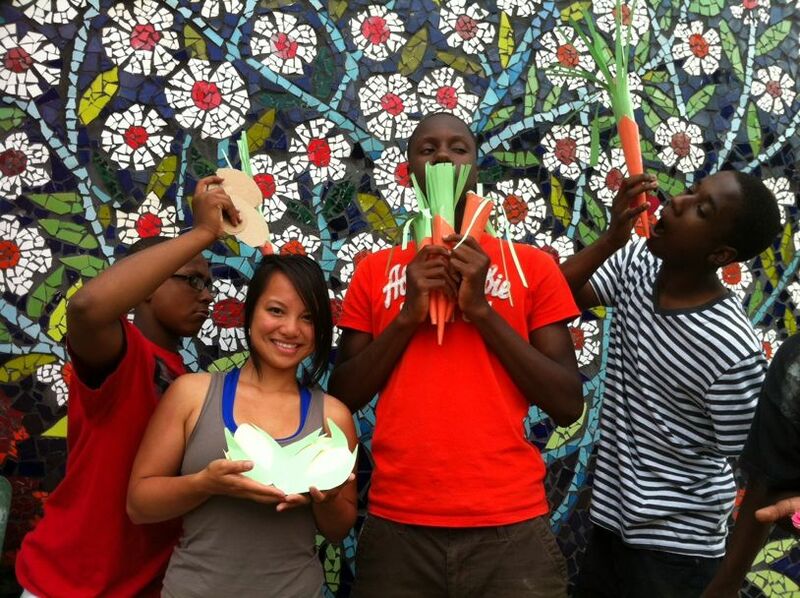 A cheerleader of possibility, Public Workshop creates uniquely engaging opportunities for youth and their communities to shape the design of their cities. 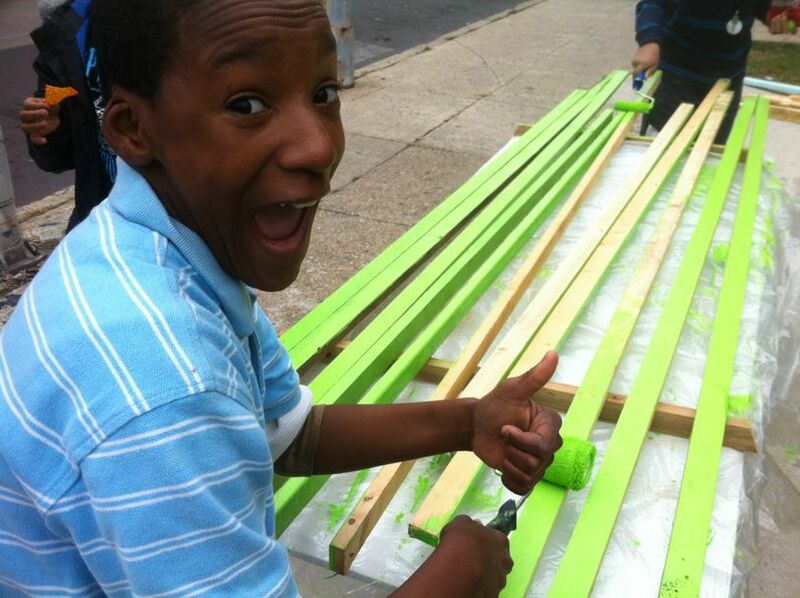 Tiny WPA Teens Design-Build A Shade Canopy For A Farmer’s Market In North Philly. 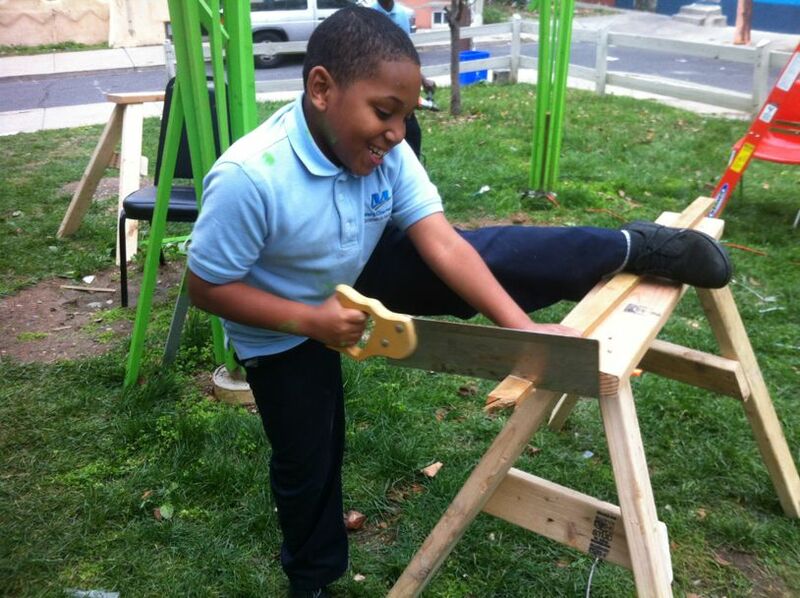 We are happy to report that our Tiny WPA team is nearly finished with the first phase of a shade canopy for a farmer’s market in North Philadelphia. 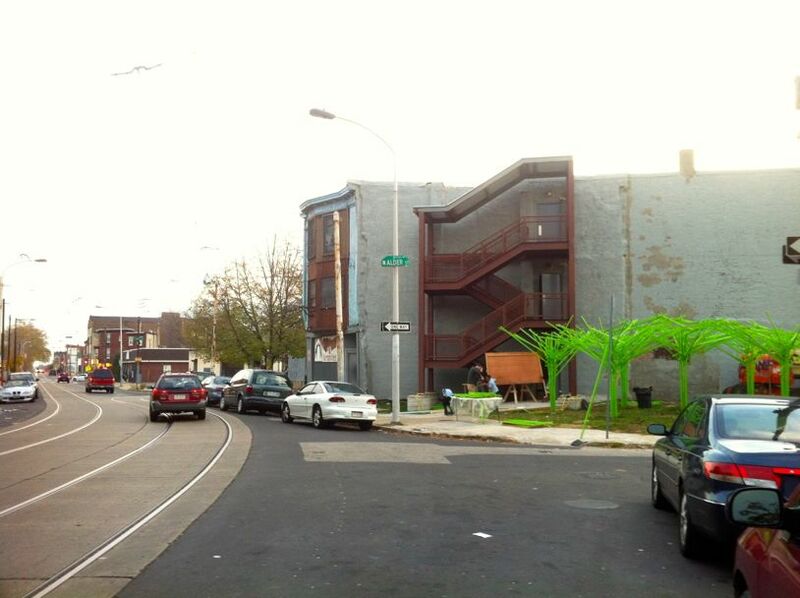 Design-built for our friends and collaborators at Philly Earth and the Village For Arts And Humanities, the canopy (when planted with vines in the Spring) will provide shade and a place for Philly Earth’s weekly farmers market, when teens from the neighborhood sell vegetables that they have grown in Philly Earth’s garden. Phase two of the project will include making the canopy a bit more dense, growing vines, landscaping the lot, and design building integrate benches that can double as surfaces for selling vegetables/goods, seating, and maybe even play equipment. 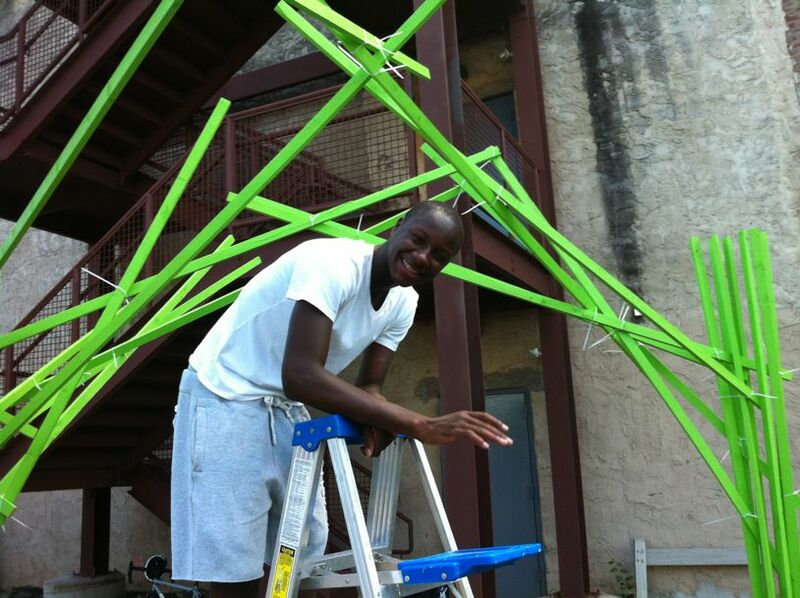 The canopy was design-built by a core team of twelve teens and young designers, with help from over forty kids from the Village For Arts And Humanities and the neighborhood. In the past couple of days, the space has taken on a new life as our friends from Philly Painting have recently completed two murals on either side of the space. 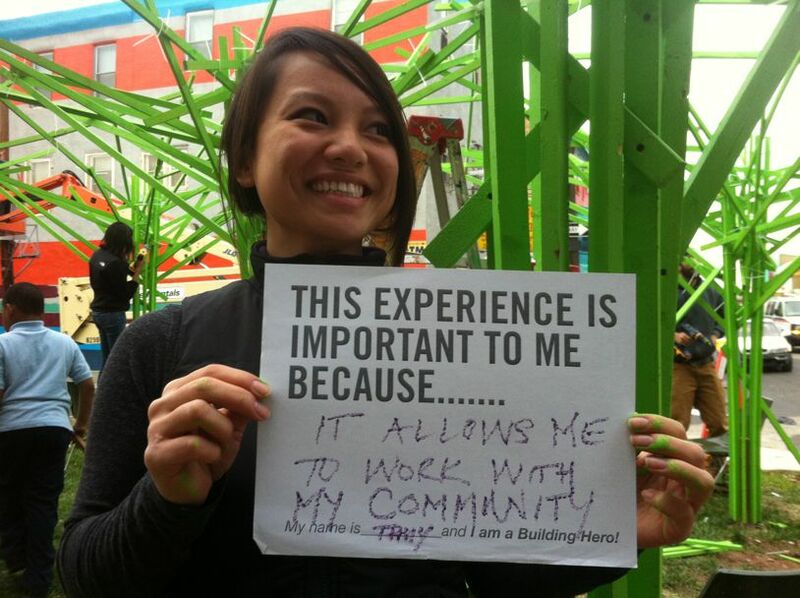 Many organizations and funders are currently grasping at straws, trying to define ‘placemaking’ and ‘vibrancy’. Between the canopy, the murals, and the Village’s vibrant youth after school neighborhood programming……….this is it in a nutshell, folks. Incredible thanks to the entire staff at the Village For Arts And Humanities and Philly Earth for being fantastic project supporters and collaborators. And congratulations and thanks to our core Tiny WPA team–John Hargraves, Tyler Scholl, Thuy Tran, Raheem Reeder, Margaret Waters, Mike Darfler, Jacob, Star, Tyree Scott, Rakeam, Jeb Lewis, and Kevin–for a job well done. Awesome. Want to see more pictures of the project? Visit our Facebook page. 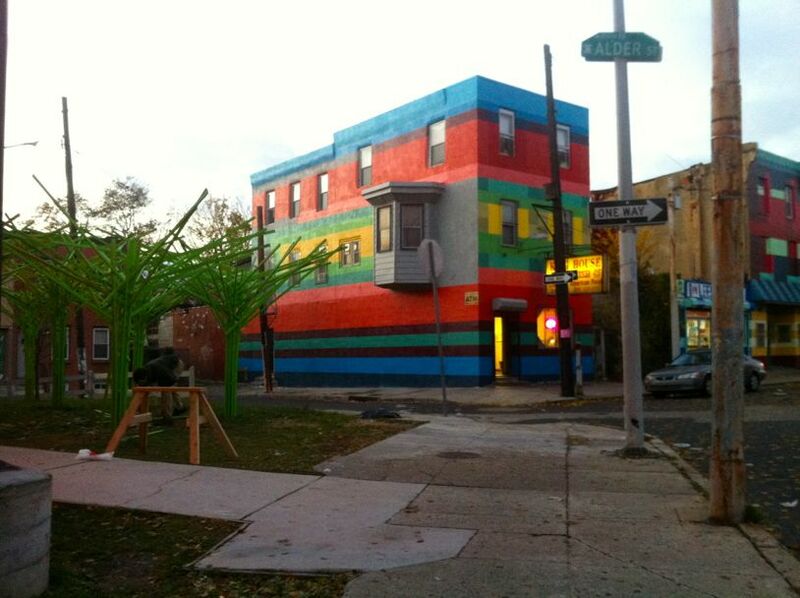 Purchase Our Build-It! Disks, Build Something Great.